Enables you to send your employees to the Alliance conference at a reduced rate. HEUG members saved a combined total of over $600,000 on Alliance conference fees last year. Enables your employees to attend unlimited HEUG Education Series webinars for free. Enables your employees to be eligible to serve on the HEUG Board and gain additional exposure with Oracle for your institution. 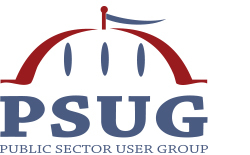 Enables your employees to be eligible to serve on the HEUG Advisory Groups and have direct input to Oracle strategists on the development of the products. Enables your employees to access Alliance session recordings enhancing your conference educational benefits long after the conference is over. Access to HEUG.Online for all of your employees. For those institutions that would like general website access to the HEUG.Online, the HEUG member site, with the ability to add on a-la-carte benefits such as full-price conference registrations. Subscriber members do not have the ability to run for or serve on the HEUG Board or Advisory Groups. If you need information on joining the HEUG please reach out to membership@heug.org. To become a HEUG Institutional or Subscriber Member simply complete the Enrollment form below and send to membership@heug.org.